LEXINGTON, KY. (Feb. 24, 2016) — Left Ventricular Assist Devices, or LVADs, can be true lifesavers for people with heart failure, either as a permanent replacement for a failing heart or as a sort of "bridge," temporarily taking over the heart's work until a donor heart is available for transplant. But LVADs require anticoagulation drugs to prevent deadly blood clots from forming and causing strokes or heart attacks. Under normal circumstances, anticoagulation therapy is a manageable and relatively uncomplicated process for patients with LVADs. However, if that patient needs more surgery, taking drugs that thin the blood is a dangerous — even life-threatening — proposition. 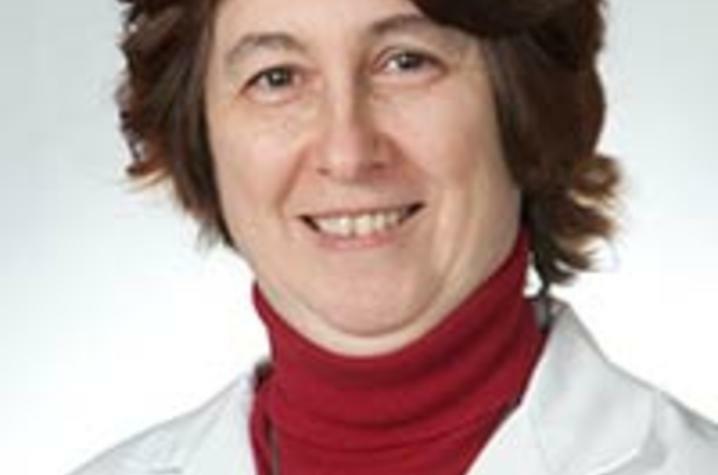 Dr. Maya Guglin, professor of medicine and director of the Ventricular Assist Program at the University of Kentucky Gill Heart Institute, has received a grant from device manufacturer St. Jude Medical to explore effective ways of managing anticoagulation in patients who require procedures after their LVAD implant. "The Gill Heart Institute's Heart Failure Program has seen explosive growth, with 43 heart transplants and 32 LVAD procedures in 2015, up from 13 transplants and 29 LVADs in 2014," said Guglin. "We are well-positioned to explore how anticoagulation regimens should be managed when LVAD patients need an unrelated procedure, such as right-heart catheterization, dental work, or other non-cardiac surgery." Determine whether bridging anticoagulation is needed during warfarin interruption in patients with a particular brand of LVAD who are undergoing elective invasive procedures. Determine whether bridging anticoagulation increases bleeding for those patients. Determine overall safety of elective invasive procedures in LVAD patients. The rationale for Guglin's work lies in an abrupt rise in reports of blood clots in patients with a HM II LVAD. "In early experience, LVAD patients developed blood clots at a relatively low rate, but the national rate almost quadrupled over a two year period," Guglin said. "Simultaneously, patients with HM II LVADs were getting blood clots much sooner after their implants — 2.7 months instead of the original 18 months." "LVADs are an important tool for heart failure patients. My research proposes to find ways to minimize their risk relative to their reward." Dr. Susan Smyth, director of the Gill Heart Institute, notes that this award is an accurate reflection of the quality of the Gill's Heart Failure Program. "Under Dr. Guglin's tutelage, our Heart Failure Program has grown significantly," said Smyth. "This grant is an acknowledgment of the Gill's position in the field and its ability to contribute to the knowledge base in a meaningful way."